Now I'd like to think I’m not your average girly girl. I work in a very male dominated industry, I stayed up all night to complete Driver non stop, and I’d rather have a Star Wars phone case than some gem encrusted cr*p. However one thing I am truly girly on, is my drink. I'm a fruity cocktail drinking kind of girl. Nothing heavy, nothing overpoweringly alcoholic tasting. I like a nice easy going drink. So it’s fair to say Whisky has never quite been on my radar. It is a drink that I would actually love to get into as I find it sophisticated, and secretly I want to be Robin off HIMYM so Its something I need to start liking. So when opportunity came knocking to have a whisky master class, gone immediately was the fruit, it was time to join the big boys league. 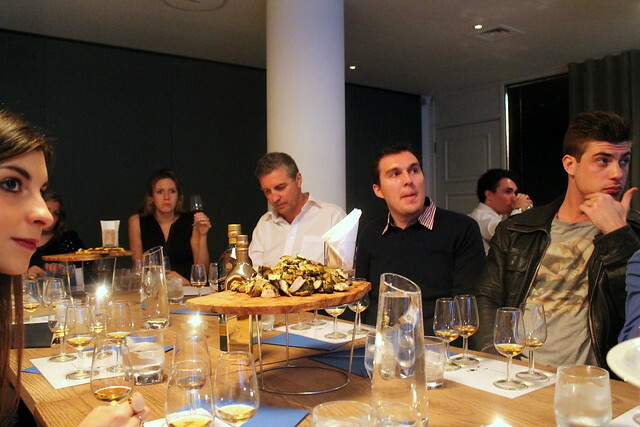 Johnnie Walker and Quintessentially were hosting a master class at the Hoxton Grills private apartment. 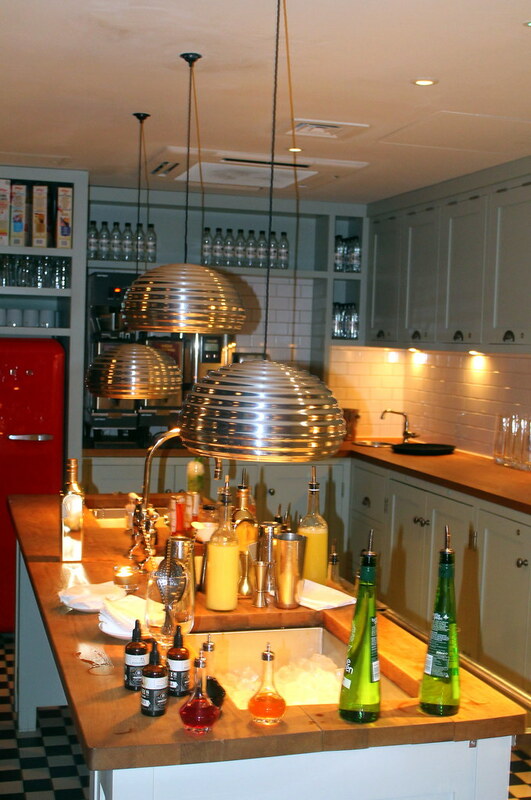 Described as "we designed it to be a home away from home", I think my open mouth was a giveaway that it wasn’t. 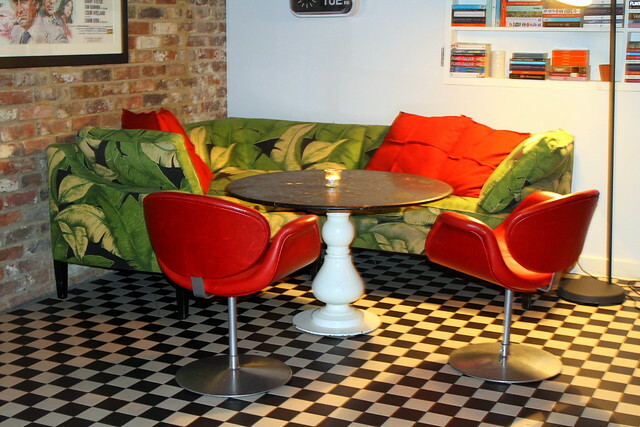 If only my home was quite so stylish. 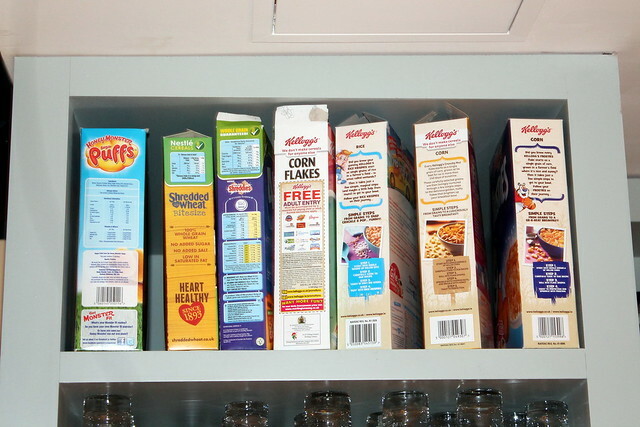 Although the cupboard full of cereal is defiantly my kind of home! We started the evening on a gentle note- cocktails. I see what they are doing there, easing me in like that.... and I was grateful! 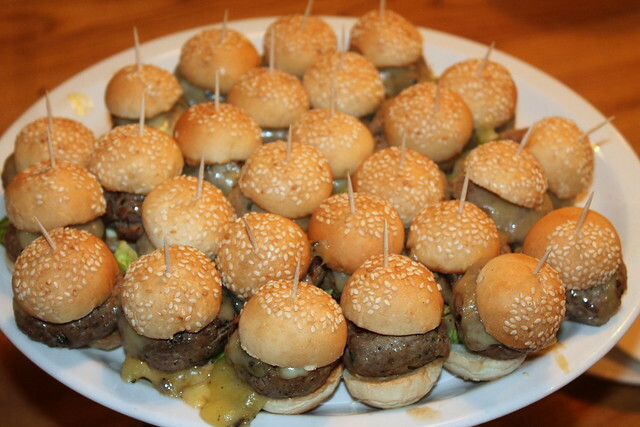 We were then told to line our stomachs with miniatures from the Hoxton Grill kitchen before the tasting class began. 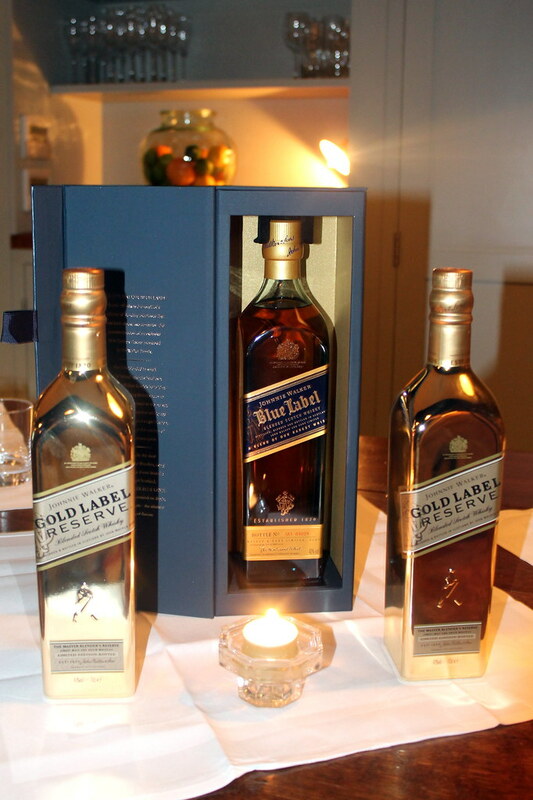 We started with the Johnnie Walker Gold Label Reserve. Out of the 4, it is the most purse friendly one. 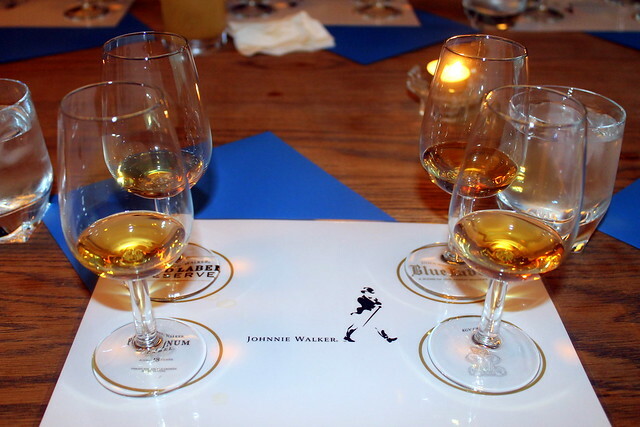 Like with wine, Whisky is complex and there is more to it than just downing it. 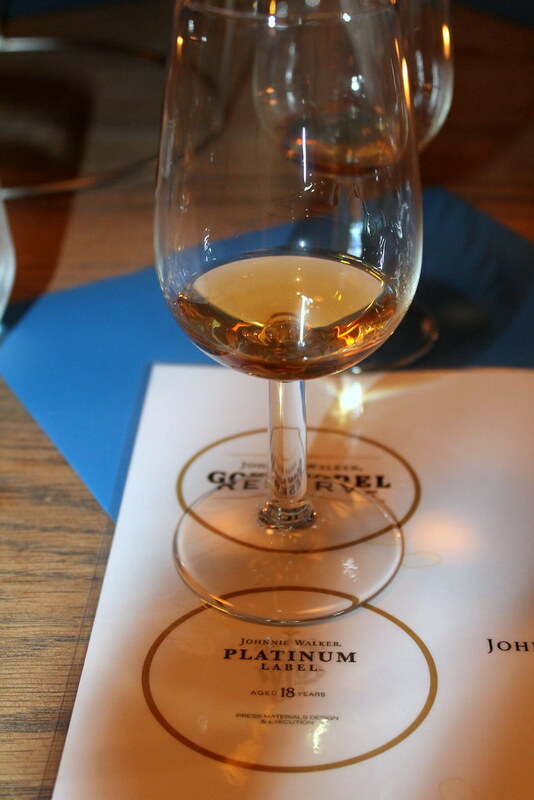 Tasting is best done is glasses that are almost like an stretched sherry glass. This allows you to swirl, sniff to yours hearts content without covering your fellow whisky taster in said liquid. Although I feel that’s just a challenge. 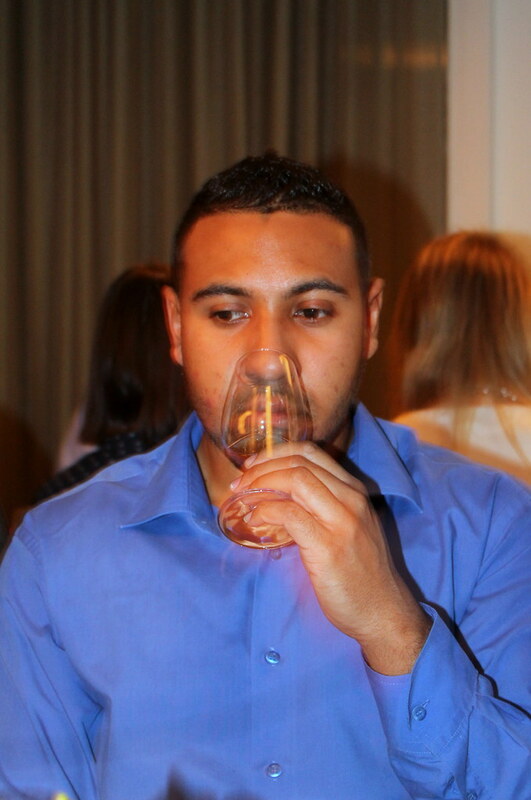 Like with wine, the first thing you have to do is sniff it nose it. 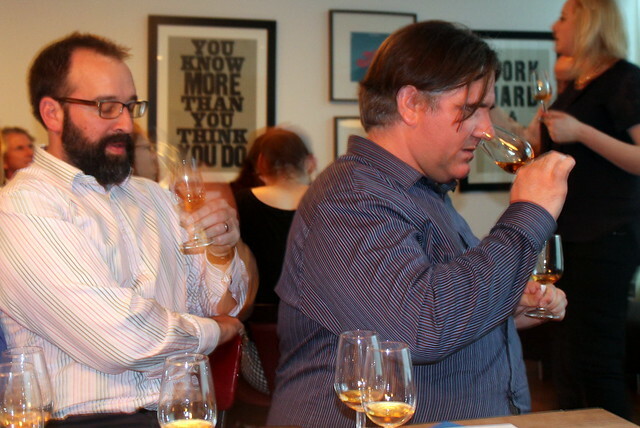 This is considered one of, if not the most important part whisky tasting. Give it s good swirl, and then put your nose into the glass. 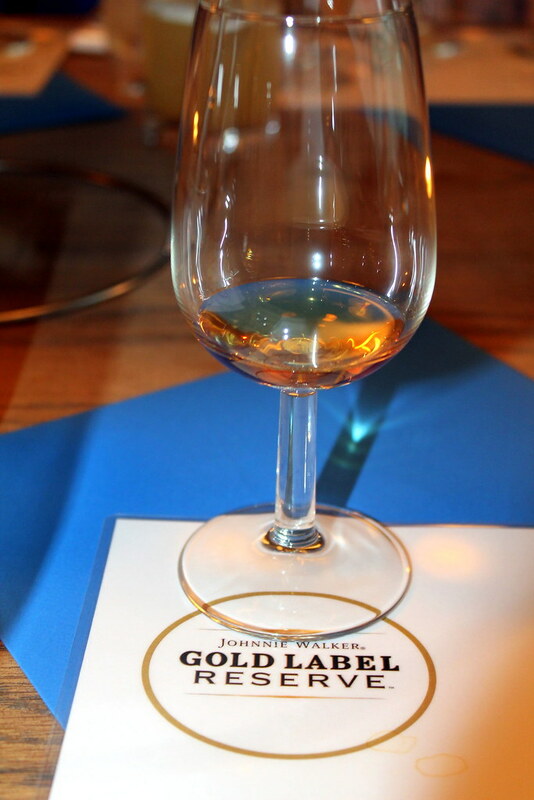 So what did I smell from the Gold Label? To me it was like heavy Christmas cake. The one that is dense and full of alcohol. 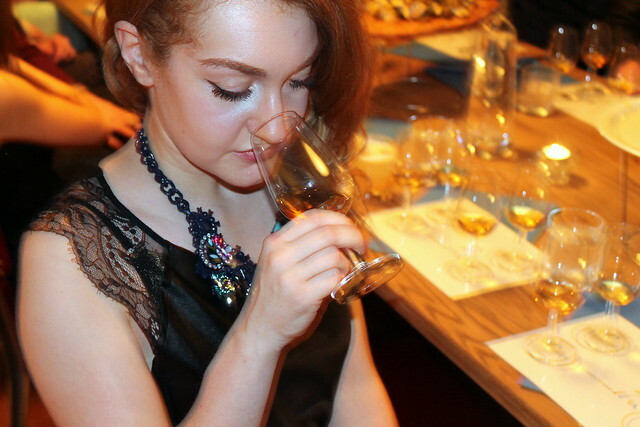 To get a true appreciation of the Whisky, we were told to hold it in our mouth for 10 seconds and just roll the tongue over it to release the layered flavours. Now as I said, I’m a girly drinker, so the first sip of the night was of course a bit of a shock, however it is very palatable, and I could definitely see this being a nice drink to accompany some light snacks with friends. Interestingly we were told if you struggle to smell the different flavours, then put some onto your hands, as that way you can absorb the flavour easier. Just maybe do this at home and not in public. 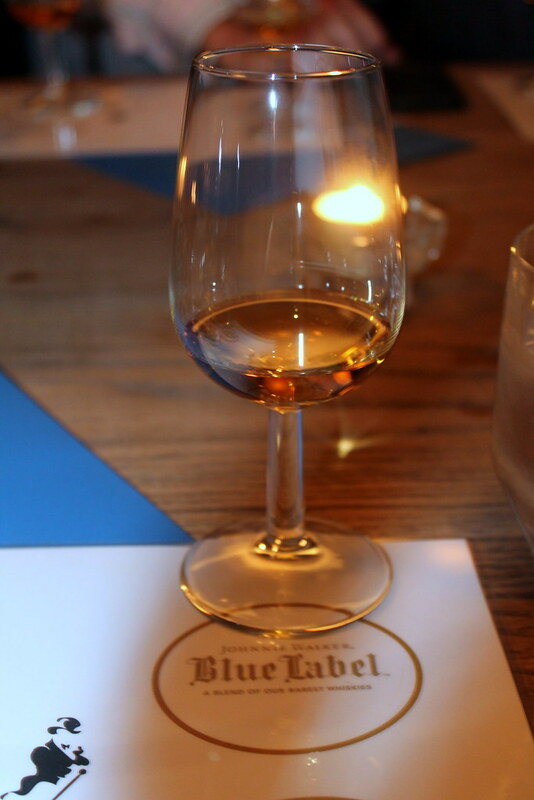 We then moved onto the Johnnie Walker Blue Label. 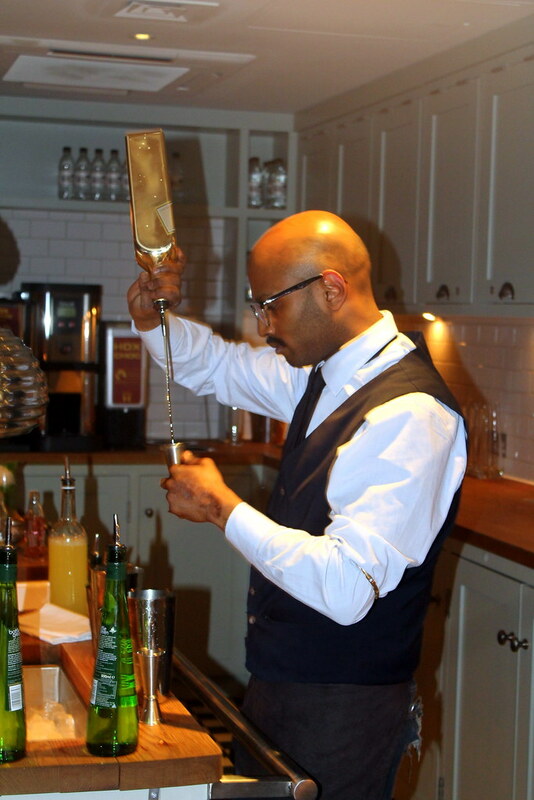 This one is for the true connoisseur at around £200 a pop its not exactly casual drinking. However rightly so, as this was my favourite of the 4. I tasted layers of honey and light fruit which made it a really smooth drink. 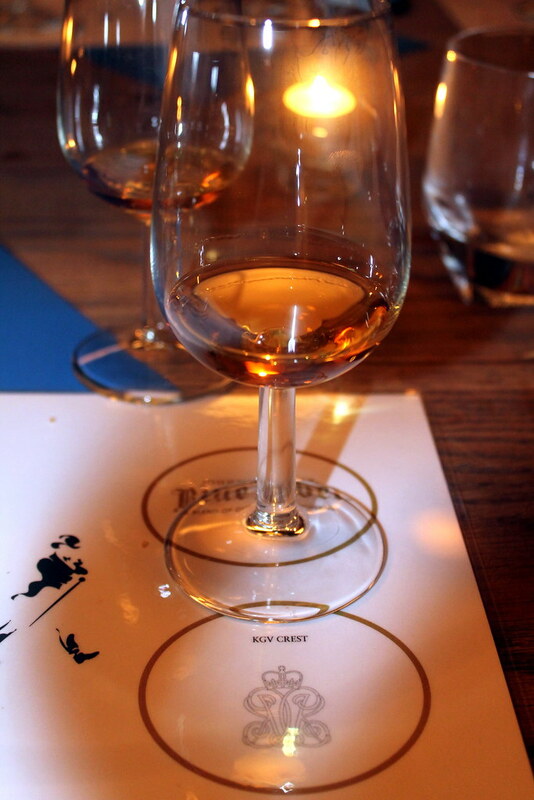 Interestingly we were told that dark chocolate can aid the release of flavour in whisky, so we each popped a Paul. A. 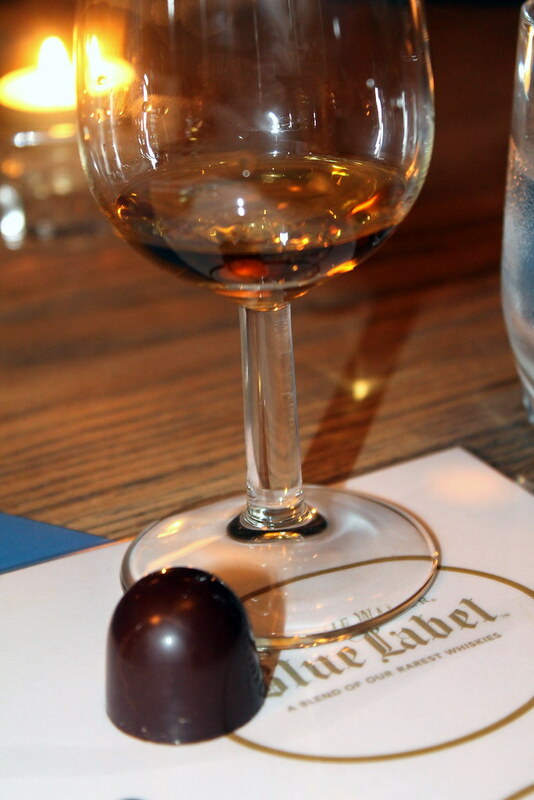 Young truffle into your mouths and took a long sips of the whisky. The combination was fantastic, the rich bitter chocolate with the slightly sweet whisky was a perfect match. 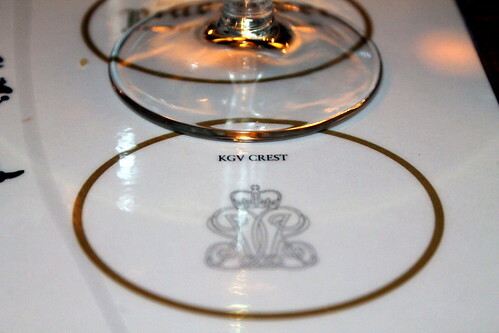 Finally we were treated to the King George V. A very special bottle at around £450 this is the head of the family. This was quite a unique blend of almost spice and smoke, but still had a sweet edge as not to feel like I was drinking medicine! We were told to hold it in our mouths for a whole 2 minutes to really discover the layers- I failed after a minute. 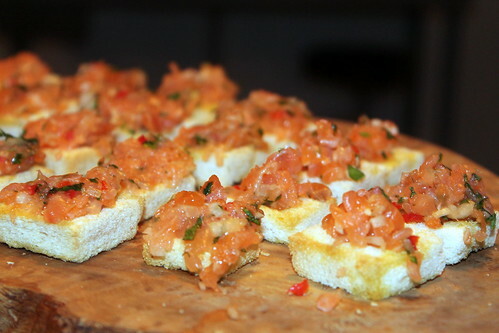 However it was rightly so a exquisite flavour. So have I been converted from the tropical, happy clappy land of fruit and sugar? Well I have defiantly been converted to whisky. 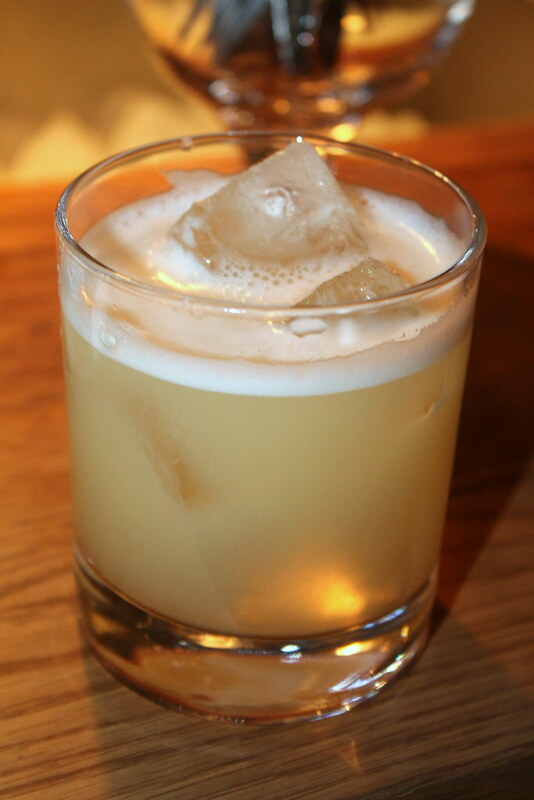 It wont be something I'd drink on a regular basis, but I have since sipped gently on a glass at a bar with friends. 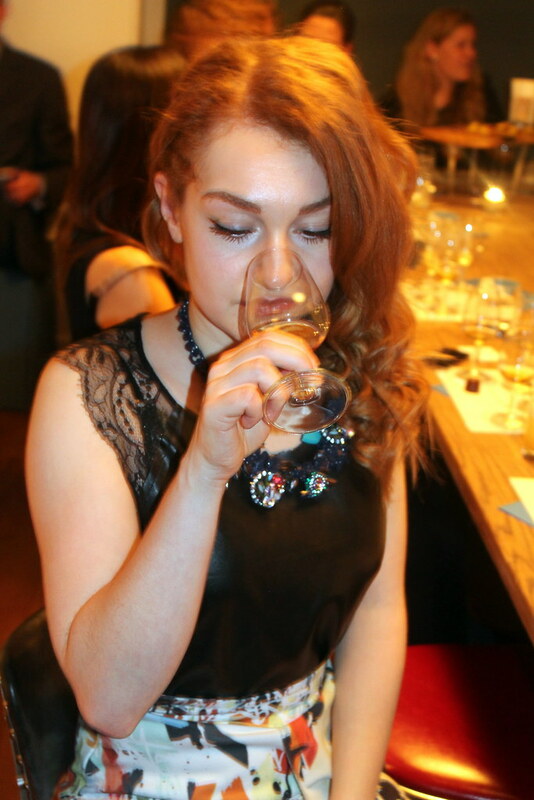 However, if girls are made of sugar and spice and all things nice, then pass me both whisky and fruit please! Is the masterclass open to the public? This would be possibly THE best birthday present ever for my Dad! 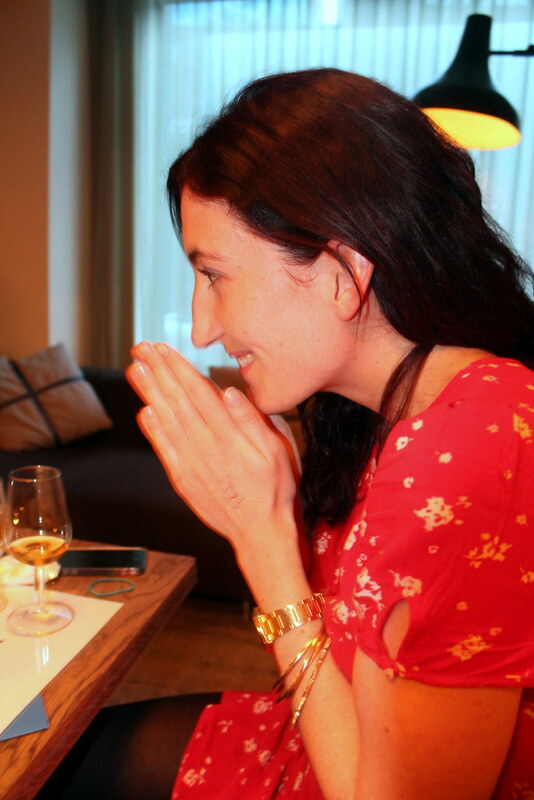 I would love to do a whisky tasting - it's a world I've not really experienced before! I was determined to have whisky when we went to Edinburgh earlier in the year but not knowing anything about it, I just ordered blindly from the menu! One of my friends went for a gorgeous one that tasted very like oranges - it was beautiful and definitely one to convert me from shuddering at the taste to savouring it!